HOLLAND — JR Automation, the Holland-based industrial technology provider, has announced the acquisition of Auburn Hills-based Esys Automation. a designer and builder of robotics for the vehicle assembly industry. JR’s products and services include production process planning, material and line flow studies, simulations, prototyping, design and build of industrial production lines, turnkey industrial production modules, and more. JR officials said the Esys acquisition is the fourth strategic acquisition for JR Automation in six months and further advances the company’s global growth initiatives. 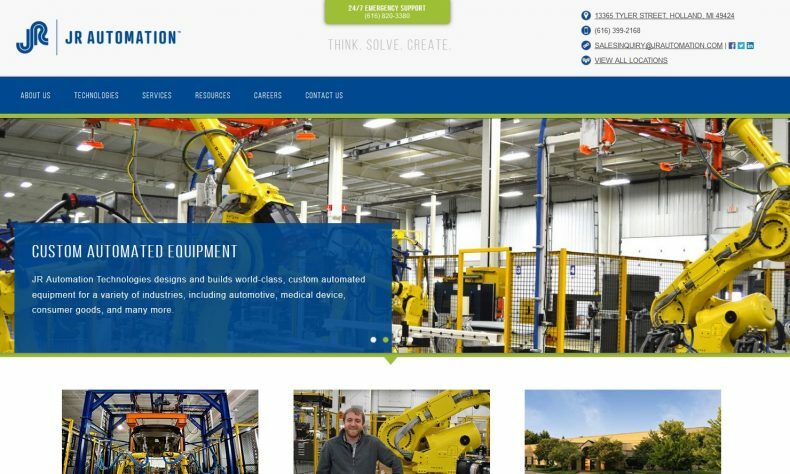 Established in 1980, JR Automation serves customers across the globe in a variety of industries, including automotive, life sciences, aerospace, and more. With this acquisition, JR Automation employs over 2,000 people at 23 manufacturing facilities in North America, Europe, and Asia. More at www.jrauto.com or www.esysautomation.com.